The red panda is crepuscular, most active at dusk and dawn. 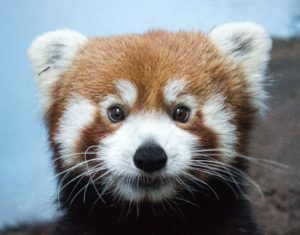 The diet of the red panda is very low calorie. To compensate for this, they spend a large portion of their time eating and have very slow metabolic rates. They also have a specialized wrist bone called the radial sesamoid that acts as a sort of thumb and is helpful for grasping bamboo stalks.